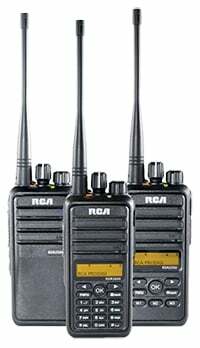 Thanks for your interest in RCA digital two-way radios. We're confident that once you try the new RCA Digital Radios, you'll hear and feel the quality and agree that this is the best radio in it's class. To request a demo please fill out the form below. Please note that demo units are only for qualified businesses and organizations. Once you submit the form, a friendly radio expert will contact you to confirm and qualify your eligibility. If you have any questions please call 800-895-5122. Signaling, scanning, repeater integration, etc.